In 1970 the Czech government rebooted an existing handgun design to produce a neat little .32ACP pocket pistol that is a near clone of the Walther PP. This gun has marched off into history as the Vzor (model) 70, and it is a great little CZ. The brothers K examined the German Walther PP series of blowback fixed barrel handguns and decided, why reinvent the wheel, and came up with a gun very (and we mean very) similar. 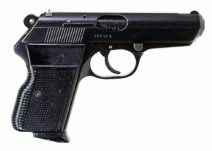 This little .32ACP semi-auto was adopted and became the Vz.50. 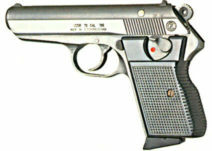 With its 6.5-inch length and 25-ounce weight, the 9-shot pistol was a well-liked and easy to carry. More than 100,000 Vz.50s were made from 1950-1970 and then the factory rebooted to make the Vz.70. 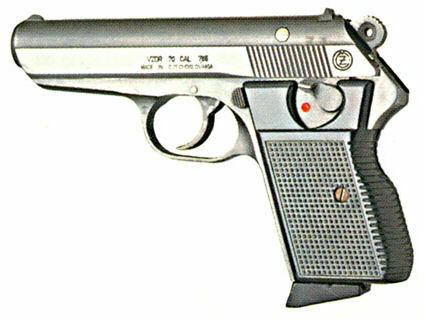 This gun took the already proven design and added a new grip shape and pattern, improved the surface controls including the safety de-cocker lever, and magazine release. The slide was improved with better serrations and top glare finish. Internally the gun was given a new, larger hammer and different takedown lever.